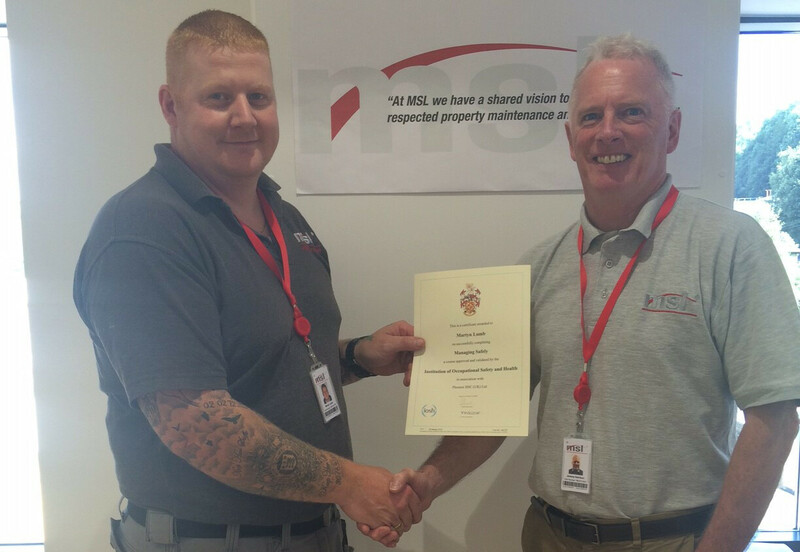 Martyn Lumb, one of MSL’s senior engineers is pictured below receiving his IOSH certificate from Jeremy Harrison, MSL Managing Director. Martyn takes an active role in delivering the monthly Toolbox Talks along with van & equipment inspections for the MSL engineers. Martyn’s IOSH qualification is part of MSL’s staff training & development programme & ongoing commitment to health & safety.